'1767 Teddington Weir, Stoppage ?' 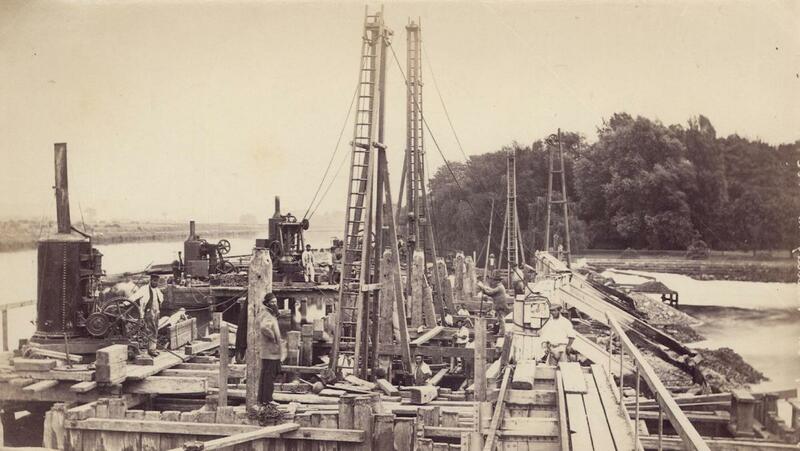 - Sepia photograph of men working on the weir at Teddington. They are using steam powered pile driving machinery. Photographed by Henry Taunt, c1870.